Quirky, colourful cottage, renovated but retaining its authentic charm, with 3 bedrooms and garden. Would make a great holiday home. This cottage has been lovingly renovated in an original way, to showcase its character and . 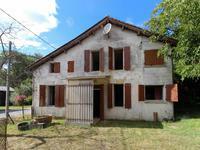 . .
Country house to renovate with old distillery offering beautiful interior volumes. Nice potential for this house. Many additional development possibilities to increase its . . .
Great chance to buy a comfortable home with delightful gardens and heated pool, outdoor . 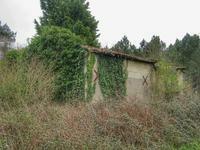 . .
A great opportunity to build your own home in France, just 45 mins north of Bordeaux. A . . .
Small cottage in the countryside, with 2 bedrooms and garden. Attic and cellar. Possibility to extend. Some work required. This cottage has been modernised, with UPVC double glazed windows and doors, but would . 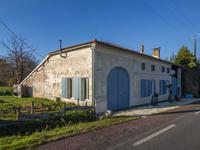 . .
Tastefully renovated family home with plenty of space and original features, in village centre. 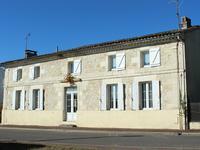 This is a double fronted traditional Charentaise house set just opposite the park, village . 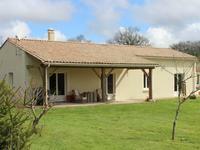 . .
Smart contemporary single-storey house in woodland setting with swimming pool and with fast access to Bordeaux. Attractive single-storey contemporary detached house built in 2008, with light and airy . . . Perfect project to create a lovely house or holiday home. Permission can be acquired to . . .
Immaculate bungalow with separate apartment; pool, terraces and gardens situated in a little hamlet. 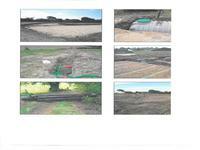 Beautiful bungalow, recently built offering spacious accommodation, underfloor heating and . . .